Please note that this is a matchstick model kit and is supplied unbuilt. Thanks to the MATCHITECTURE technique, it's now possible to complete projects in which you can take pride. Starting with a single element, the MICROBEAM or Matchstick you'll create amazing constructions. 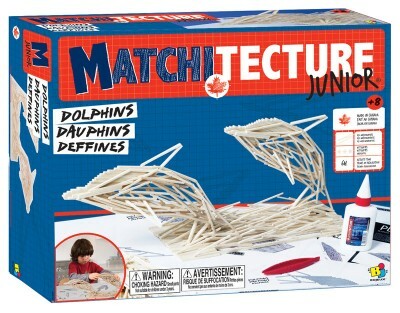 MATCHITECTURE is an easy and exciting technique: You simply need to cut and glue MICROBEAMS together, according to the plans. The resulting pieces are then assembled to create a 3D design. CUT - GLUE - ASSEMBLE. Box contains: 3 acetate sheets, 1 Assembly Board, MICROBEAMS (matches), 1 bottle of wood glue, 1 pair MICROBEAM tweezers, 1 Sanding Stick and Plans - instructions.